DIY Days: Free Conference for Indies! Image from DIY Days WebsiteThanks to David Tames and Boston Media Makers (woot! ), I just learned about DIY Days. How do we sustain ourselves as filmmakers and storytellers in this day of shifting film distribution systems? How do we monetize our film and get the word out without studio support? Presented by From Here to Awesome and Current TV – DIY DAYS aims to answer these questions with a day of panels, roundtable discussions and workshops: A look at how to fund, create, and distribute and sustain. Anyone wanting to make creative work – film, music, games, art. Self-Identified Independent filmmakers, Creatives and Tech-philes. The day flows through a mix of both structured and free form activities to encourage open discussion and the opportunity to break into groups and get everyone talking to each other. Pack a lunch and network offline with fellow creatives. Best of all, this shindig is FREE. Looks like they have scheduled DIY Days in NYC, SF, LA and Boston (hurray!). But if you, like the Producer, do not live in one of those places, it looks like you’ll be able to sit in via streaming video sessions. Exciting, no? Image from thebusybrainiBUYPOWER is sponsoring a contest where filmmakers can submit a video to YouTube of a real life re-enactment of any event that happened in a computer or console video game to be voted on for a chance to win a $2,000 gift card and a $1,800 iBUYPOWER PC. One submission, any length, must be over 18, and various ‘decency’ rules apply. See http://www.ibuypower.com/WinAPC/WinAPC.asp for the complete rules. There are plenty of fun possibilities for this contest. Lazy folks could probably get away with something from a sports game. People with a lot of time/money could try for something like the Neill Blomkamp’s live action Halo shorts. Personally, I would vote for anyone who re-enacts the insult sword fighting from Monkey Island. One of the things I’ve learned in two years of production is that no two shoots are ever, ever, ever the same. Before you go into production, it helps to not only visualize the scene you’re trying to create inside your camera, but also the scene on set. Who will play what role? What “props” do you need? (A table is really helpful for snacks, a couple chairs are awesome for tired actors and directors). Does it really make sense for a sound guy to be there if the whole set-up for the day is a single actor and a boom? Can you dismiss your costumer halfway through the day, or will that mean that someone’s bowtie gets droopy? Most importantly, I stuck in a list of what belongs in there so that it can be restocked as needed. I would always rather be freakishly organized than lose shoot hours to a pointless pen hunt. B&H has an video interview with the inventor of the Steadicam, Garrett Brown. The Steadicam, for those who don’t know, is a stabilizing mount for a camera that isolates the camera’s movement from the camera operator’s movement. On terrain that is too rough, or other situations where a track and dolly are not practical, Steadicam allows smooth, moving shots. “The things that the Hollywood guys with their $50,000 rigs have, someone wants with a little HDV camera,” says Brown. “It’s our job not only to supply the gear, but also to help educate people to use it with the same degree of freedom and panache that the big boys have. 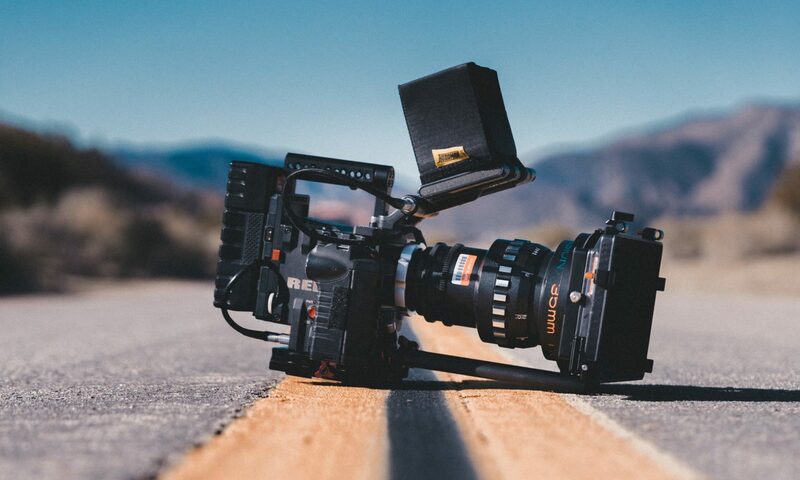 Brown’s mission to bring the Steadicam to the masses fits within the general trend of democratization of technology and it is particularly exciting, if not altogether unexpected, that stabilized camera mounts are becoming more widely available. Guerrilla filmmakers in particular may find great value in being able to get stable, smooth shots without the burden and setup of a dolly.